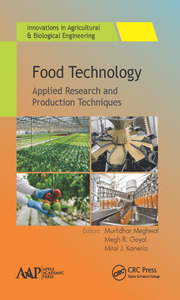 Here is a rich resource on recent research innovations in the field of food processing and food engineering. 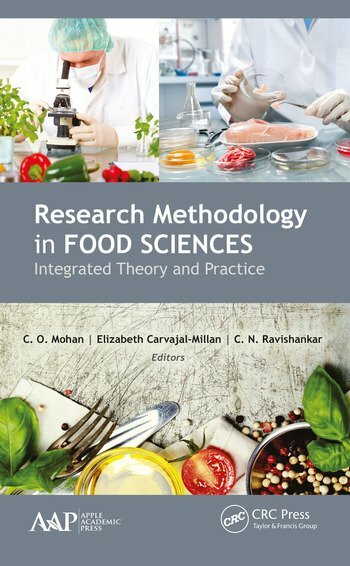 Chapters are written by eminent researchers in the field of food science and provide in-depth knowledge on the application of engineering aspects in food processing, food packaging, food quality, and food safety. 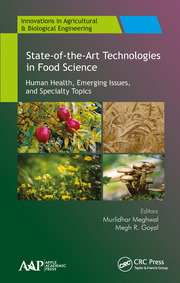 The book looks at the latest nanotechnology aspects for the detection of foodborne pathogens to ensure safety with respect to these pathogens. It provides detailed kinetics of quality and safety aspects of food and goes on to discuss the characteristics of edible films prepared from plasticized guar gum. 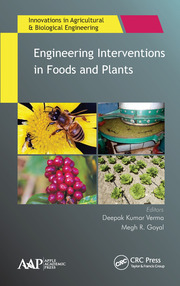 Other topics include the production of novel biomolecules and their characterization, the microstructural properties of arabionoxylan aerogels, the antioxidant activity of oats harvested from draught areas, the effect of quercetin isolated from Enicostemma littorale against cancer targets, the latest trends in production of ethanol and fructo-oligosachharides, and much more. C. O. Mohan, PhD, is currently a Scientist at the Fish Processing Division of the Central Institute of Fisheries Technology (Indian Council of Agricultural Research), in Willingdon Island, Kochi, Kerala, India. His areas of interest are thermal processing and active and intelligent packaging. He has guided many postdoctoral students and has published in many national and international journals. Elizabeth Carvajal-Millan, PhD, is a Research Scientist at the Research Center for Food and Development (CIAD) in Hermosillo, Mexico. Her research interests are focused on biopolymers, mainly in the extraction and characterization of high-value-added polysaccharides from co-products recovered from the food industry and agriculture, especially ferulated arabinoxylans. She is a pioneer in in vitro and in vivo studies on covalent arabinoxylans gels as carriers for oral insulin focused on the treatment of diabetes type 1 and has published many papers, chapters, and conference presentations. C. N. Ravishankar, PhD, is the Director of the ICAR-Central Institute of Fisheries Technology (CIFT) in Cochin, India. He is an expert in the field of fish processing and packaging and has developed, popularized, and transferred many technologies to the seafood industry. He has more than 200 international and national publications to his credit, and he has an h-index of 15.0 and has filed 17 patents. He was instrumental in establishing the Business Incubation Centre with an office and pilot plant facility for entrepreneurship development in fish and other food products. In addition to his many other activities, he has delivered numerous invited talks on fish preservation techniques, food packaging, business incubation, and other related areas.